Free messages, Free Calls. Unlimited! Now, call and send as many messages as you want! 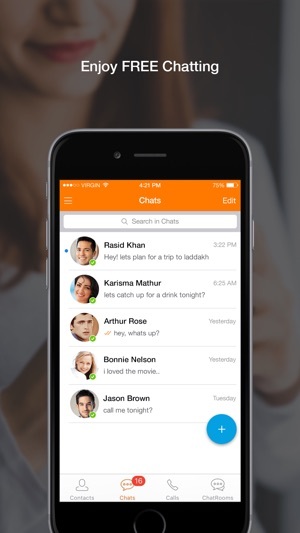 Nimbuzz Messenger is super-popular and our 250+ million registered users across platforms prove that. 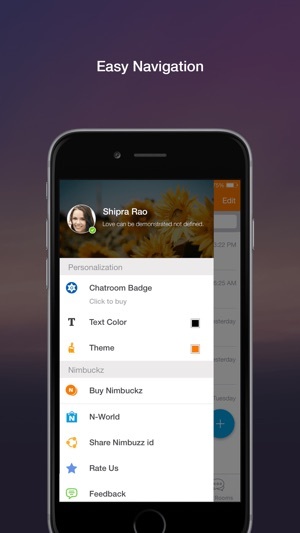 Nimbuzz Messenger combines the power of internet and smart phone messenger into one, and lets you make free video calls, voice calls, send chat messages, and share files on all mobile devices. Connect with your phonebook contacts and chat and call them for free. 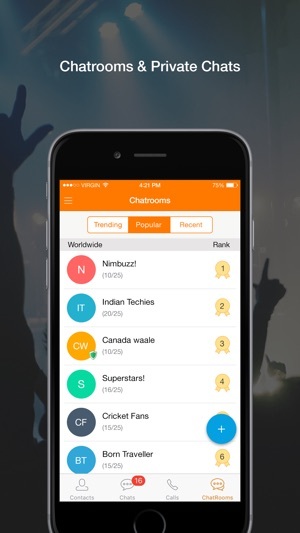 Also, share files, music and videos with your friends on Nimbuzz. Nimbuzz Messenger is available for every smartphone and feature phone, so go ahead and tell your friends to download Nimbuzz Messenger. •STICKERS - Express yourself better with our super cool Sticker packs. 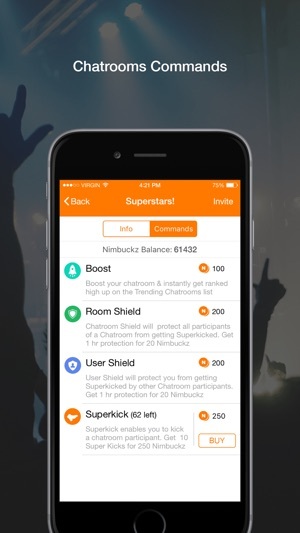 •CHATROOMS - Make new friends in chat rooms and share your location for easy face-to-face meet up. •CHAT BUDDIES – Use our popular chat buddies for Cricket, Astrology, Jokes, Games. Take a guided tour and explore all the features of Nimbuzz. Know more and do more with Nimbuzz. I cant use this app anymore😞😞😞😞 when I open this app it not access. Why?